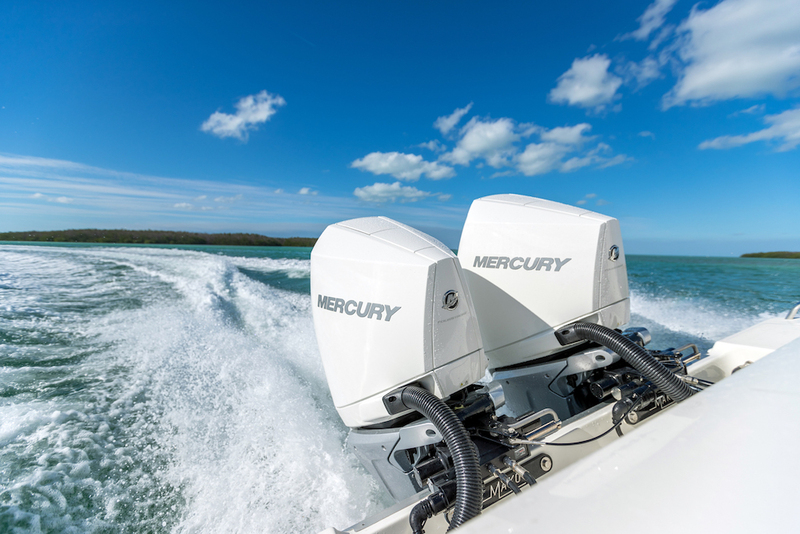 The Mercury SeaPro outboards are commercial-grade four-strokes, tuned to push a heavy load and survive long hours of use in harsh conditions. 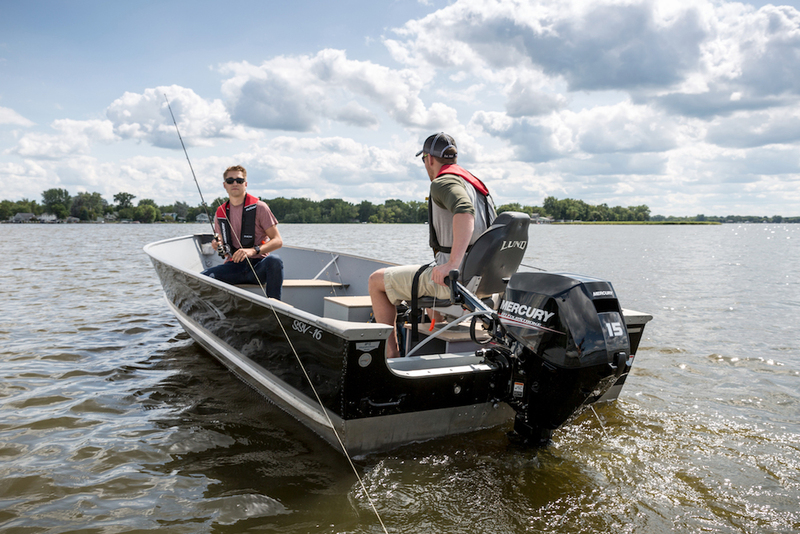 If a day on your boat is also a day on the job – in other words, you work with your outboard – you might be interested in the new line of Mercury SeaPro outboards designed specifically for commercial applications. 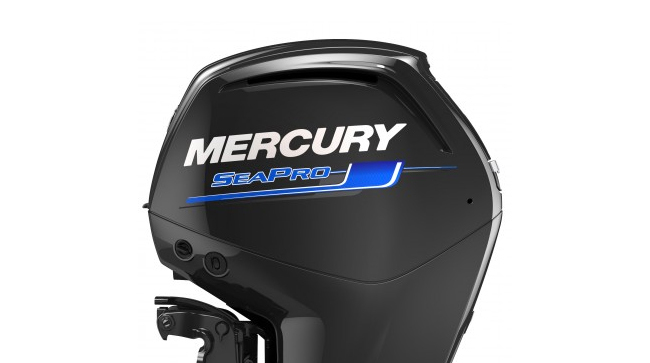 Offered in 2.1-liter (75/90/115-horsepower) and 3.0-liter (150 horsepower) models, SeaPro outboards come with some heavy-duty parts and a new calibration that Mercury says gives each three times the durability of a standard, recreational motor. 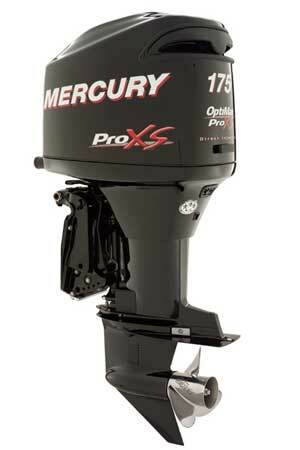 The SeaPro, from Mercury Marine, is built for heavy-duty use. 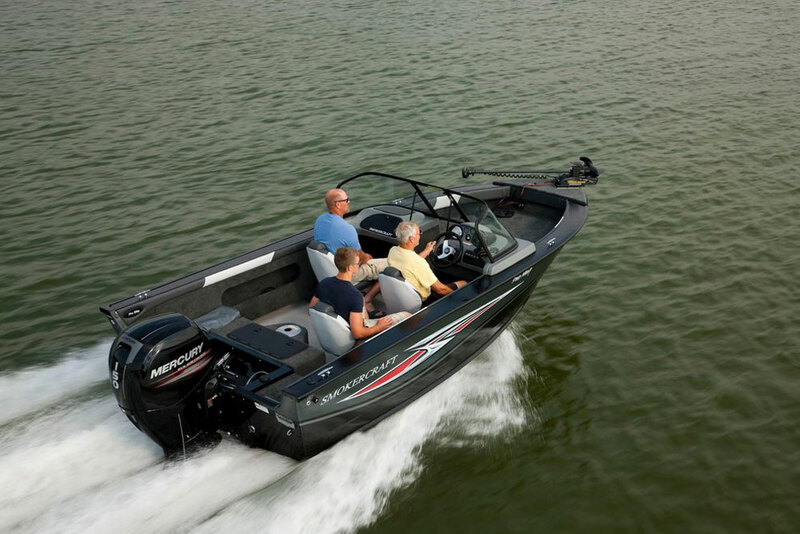 The 2.1-liter SeaPro models are based on the new Mercury 75/90/115 outboards that were just introduced last summer as light-weight four-cylinder engines with a single overhead camshaft and four valves per cylinder. In SeaPro trim, these motors are recalibrated with a WOT rating of 4500-5500 rpm, down 500 rpm from the recreational models. A new camshaft is designed to boost lower-end power, and stiffer upper mounts are more durable. Each is also equipped with the 4.9-inch Command Thrust gearcase with a 2.38:1 gear ratio, in place of the standard 4.2-inch case. A Command Thrust case is an option on the recreational 90/115 Mercury motors but this SeaPro gearcase is different in that its lube drain is located in the torpedo, rather than behind the prop in the bearing carrier as is the case on the recreational model. 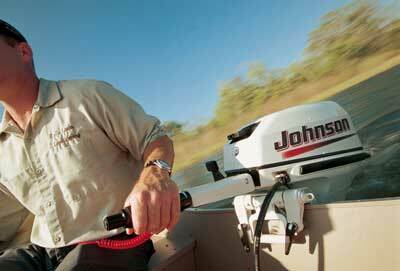 This makes it possible to drain the case lube without putting the boat on a trailer or lifting it out of the water – with the boat on a beach at low tide, for example, or even afloat with the motor tilted up. 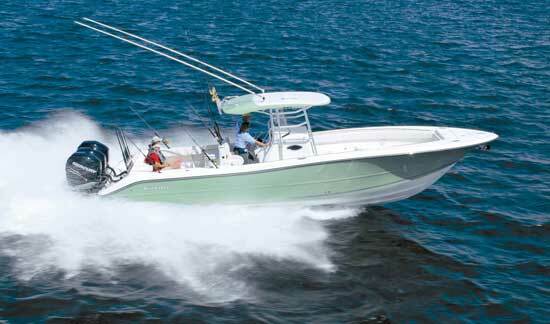 The SeaPro 150 is based on the 3.0-liter four-cylinder Mercury 150, and it is also recalibrated, re-cammed and fitted with the stiffer motor mounts. It also has a 4.9-inch gearcase with the torpedo drain. All SeaPro motors will be shipped with a vessel-mount water-separating fuel filter with drain bowl, and with the SC1000 System Tach gauge that displays an hour meter and fault codes. 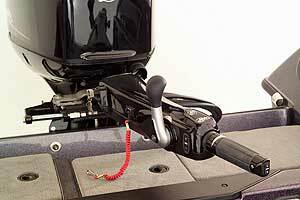 Tiller-steer models will be shipped with the Mercury Big Tiller in the box, so it does not have be ordered separately. The standard SeaPro warranty will be two years or 1,000 hours, which is twice the warranty length of a recreational motor put into commercial use. 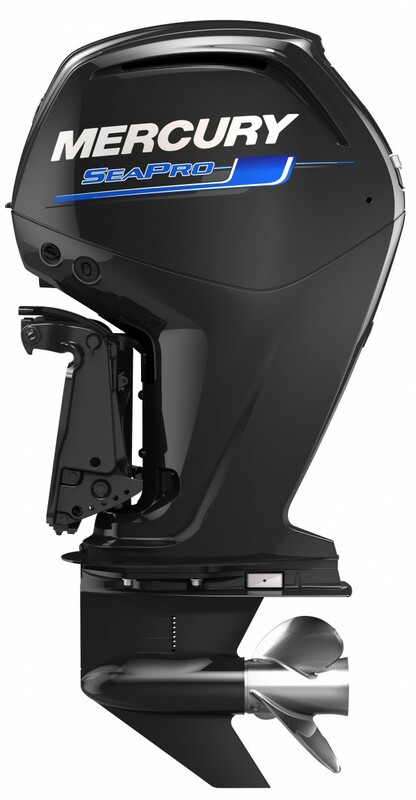 I can imagine SeaPro motors working a construction site or on patrol duty along our coasts, but Mercury says most applications for its SeaPro outboards will be outside the United States, in markets where a good outboard is a valuable, life-sustaining tool, not a toy. Mercury says many of these customers may run their motors 1,500 to 1,700 hours a year. That’s almost five hours a day, every day. These customers need a motor that’s reliable, durable and easy to maintain. Mercury has even designed a SeaPro owner’s manual that uses photos and graphics, rather than text, so language is not a barrier to its instructions. These new four-stroke SeaPro models will be sold alongside 10-to-75-horsepower two-stroke SeaPro models (that we never see in the U.S. or Canada because they don’t meet emissions regulations). Pricing will vary by market, but will be about the same as that of a recreational motor, and the cost of the filter and gauge is built into the motor and thus much less than buying each separately. The SeaPro 150 is available globally right now. The SeaPro 75/90/115 will reach dealers in mid-March. 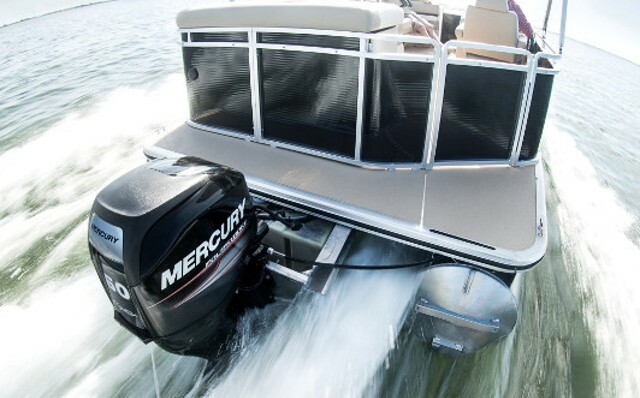 For information visit Mercury Marine.